Brother power duo, Paul Van Doren and James Van Doren together with Serge D’Elia and Gordon Lee from Anaheim are the men behind Vans. It started as the Van Doren Rubber Company manufacturing shoes and selling them for $2.49 up to $4.99 a pair. That was in 1966 and those shoe designs are now the “Authentic Decks Vans” line. The funny part about their opening day was they had nothing to sell! The store was full of empty Vans shoe boxes and they sold a dozen pairs to customers who were asked to pick from 3 shoe designs and return the next day for their shoes. The first sale for Vans was less than $140! After less than a week, the group was able to fill the store with deck shoes. Today, Vans is run by Steve Van Dorens, the son of Paul who worked for Randy’s, a shoe manufacturing company in Boston. He quit as top VP for Randy’s to start Vans, a vulcanized footwear company. Vans was also known for customized shoes and it started when a woman walked into the store and didn’t like the shades of pink and yellow being offered. It became a gold mine idea for the company and people began coming in with the fabric they wanted on their shoes. Today, Vans’ third quarter sales continue to climb because of its Action Sports line and its Outdoor products. The t-shirts, socks, backpacks, hats, shoes, and hooded jumpers are also extremely popular with the youth. Like many young Americans, the whole purpose of dressing up is being able to express oneself and Vans gives you that opportunity to be creative without having to try so hard. The philosophy of Vans has always been about being clean and straight toughness just like the WWII Sherman Tanks; word of mouth marketing; and quality products that don’t always look brand new. Vans is tradition. The company has been dressing up American teenagers for almost 50 years. Their designs remain appealing ranging from radical, classic, and retro, to perky and inventive. Wear the philosophy, love the style. 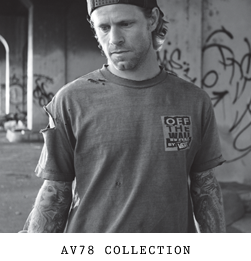 Vans – your all-American clothing line. Grab your Vans deal today.